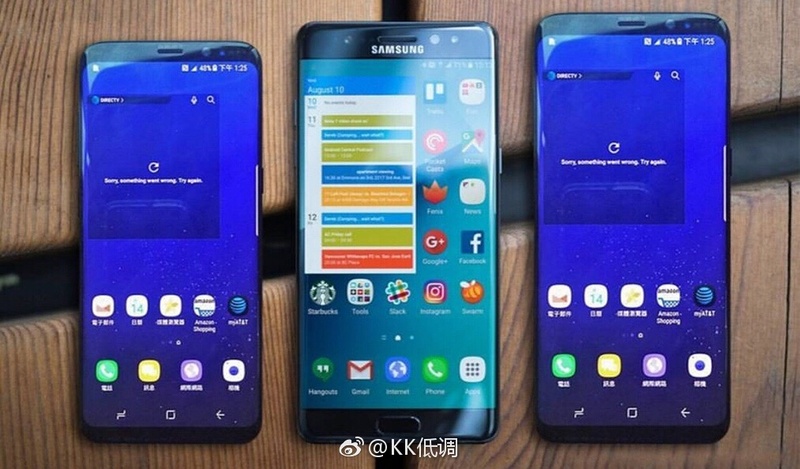 Oh, here is a nice comparison photo with the Samsung Galaxy S8 to the left, the now defunct Samsung Galaxy Note 7 in the middle and my favorite: the Samsung Galaxy S8 Plus to the right. And as you can see, the Galaxy S8 with 5.8-inch display is quite much smaller than the Note 7, and the Galaxy S8 Plus is not much bigger even with a 6.2-inch display. I'm so excited!